Big Brother 12 Live Feed Early Bird Special Coming Soon! Ever wonder what happens in the Big Brother house they don’t show you on TV? Well, wonder no more! You can catch all of the hot behind-the-scenes action 24/7 on the Big Brother 12 Live Feed. Big Brother 12 will air this year on Sunday, Wednesday and Thursday on CBS at 8 PM EST. Big Brother After Dark will also be airing on Showtime at 12 AM on Sho2. That may seem like enough Big Brother to please even the most rabid fan, but we’re telling you – if you don’t have the Big Brother 12 Live Feed, you are seriously missing out! With the Big Brother 12 Live Feed, you get to catch all the action before the rest of the world even knows what’s going on. That big catfight? You watched it live. The houseguest that hooked up with another contestant? You’ll know who it is before anyone else. Plus, you’ll know way more about all the backstabbing and secret alliances going on than you’ll get anywhere else. Even better, we can tell you that a Big Brother Feed early bird special will be coming soon. We can’t share the details yet, but keep an eye out here next week for the details. 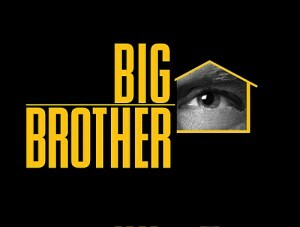 The Big Brother 12 Live Feed launches July 8th at 12AM, the same day as the premiere of the new season. Less than a month to go and we can’t wait!